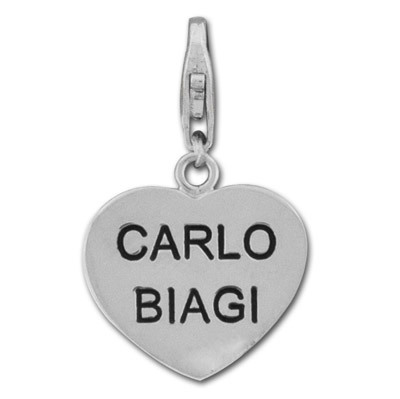 This Silver Carlo Biagi Heart clip on charm is stamped Carlo Biagi on one side and plain on the other side. Ready to personalize the Carlo Biagi link chain charm bracelet. Just attach with the lobster style clasp.